A US MILITARY judge has ruled that Bowe Bergdahl, the US soldier who deserted his Afghanistan post only to be held captive by insurgents for five years, would serve no prison time after a politically charged trial. The judge ordered Sergeant Bergdahl to be dishonourably discharged, his rank slashed to private, and that he pay a $10,000 fine, the Pentagon said. During last year’s presidential campaign Donald Trump said he believed Bergdahl should be put to death for abandoning his post in the war zone. 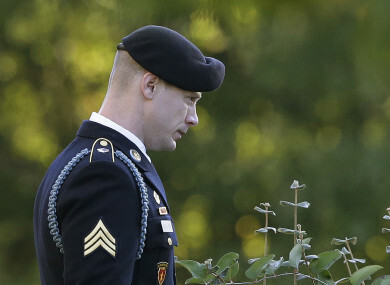 Bergdahl had faced up to life in prison after pleading guilty to charges of desertion and endangering his fellow troops. Earlier this week, Colonel Jeffery Nance, the judge in the case tried in Fort Bragg, North Carolina, warned that Trump’s repeated comments on the case could “mitigate” the sentencing. Email “Bowe Bergdahl receives dishonourable discharge, avoiding prison time after deserting US army post ”. Feedback on “Bowe Bergdahl receives dishonourable discharge, avoiding prison time after deserting US army post ”.